What is Microsoft HealthVault Certification? As a long-time Microsoft partner, NTS was selected by Microsoft as an authorized lab to execute the “Works With Microsoft HealthVault” logo program. The Microsoft HealthVault Platform is an online repository to store and share health-related information online. One of the features of HealthVault is the ability of users to create accounts to store information from a wide variety of health devices connected to their PCs, such as blood pressure meters, ECG recorders, or blood sugar/glucose meters. When you’re working with various health devices and doctors, it’s beneficial to have all the information in one location that can be shared across your healthcare team. The “Works With Microsoft HealthVault” logo program tests these health devices to verify that they meet the logo requirements specification as outlined by Microsoft. 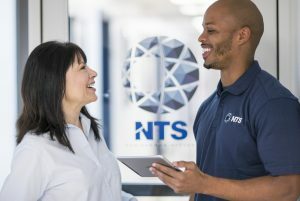 During certification, NTS will subject products to a variety of tests within a controlled environment to ensure that products can connect to HealthVault while providing a consistent user experience in accordance with the HealthVault standards. Testing will cover areas including driver setup verification to performance to driver uninstallation. Upon the completion of certification testing, NTS will send the results to Microsoft who will review the results and if approved, provide the actual “Works With Microsoft HealthVault” logo for your product. 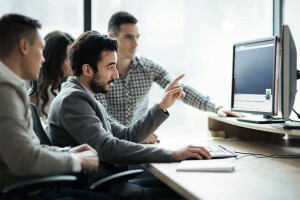 Just a reminder – if you are looking to receive HealthVault certification, Microsoft also requires that the device driver has successfully completed Microsoft WHQL/HCK certification in addition to the HealthVault certification tests. If your driver has not passed WHQL/HCK testing, NTS will be unable to provide you with a certification ID. Luckily, NTS can also perform testing for WHQL/HCK and assist you in obtaining certification for your device, including USB certification, if necessary. Contact us today for more information on how to get your product certified.